You will be the envy of all of your friends in this dinosaur/dragon hat. This warm, soft hat is made from a wool-acrylic blend. 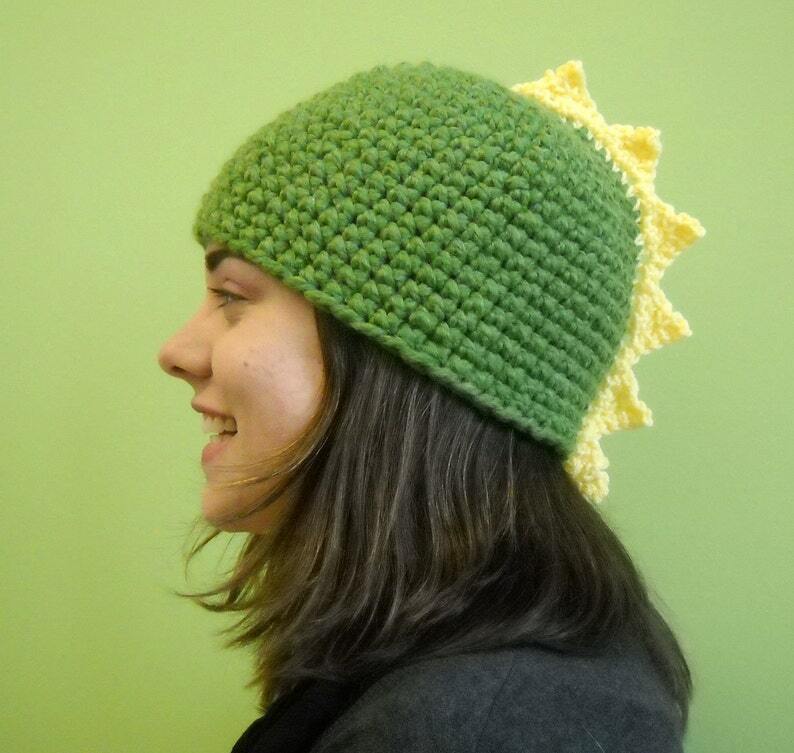 Featured hat is grass green with yellow spikes- but the hat is available in any color combination, by special order.